Mana Tropicale in Sarjapur Road, Bangalore East by Mana Projects Builders is a residential project. 7 Hammock Zones and 16 Nirvana Zones. Won Asian Real Estate Leadership Awards 2016 Dubai. 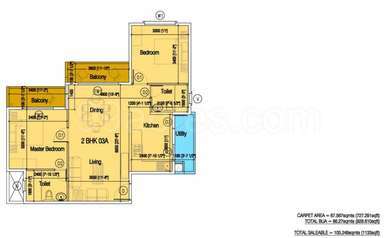 The size of the Apartment ranges in between 568.0 sq.ft. 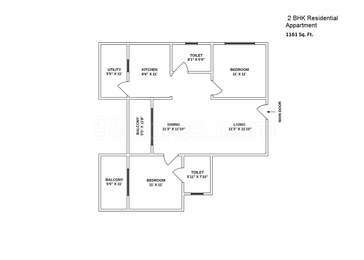 and 2461.0 sq.ft. Mana Tropicale price ranges from 25.55 Lacs to 1.10 Cr. Mana Tropicale offers facilities such as Gymnasium and Lift. It also offers services like Banquet hall, Community hall, Garbage disposal and Grocery shop. This is a RERA registered project with registration number PRM/KA/RERA/1251/446/PR/171015/000317. Bank loan approved from HDFC home loans, ICICI, State Bank of India, Punjab National Bank, AXIS Bank LTD., LIC Housing Finance Ltd., Indiabulls and IIFL Home Loans. The project is spread over a total area of 8.25 acres of land. Mana Tropicale has a total of 10 towers. The construction is of 4 floors. An accommodation of 545 units has been provided. Mana Tropicale brochure is also available for easy reference. What is the project location?The project is located at Sarjapur Road, Bangalore East. What are sizes of apartments in Mana Tropicale? The apartment sizes in the project range from 568.0 sqft to 2461.0 sqft. What is size of 2 bhk in Mana Tropicale? The area of 2 BHK apartments ranges from 1128.0 sqft to 1563.0 sqft. What is the area of 3 bhk in Mana Tropicale? 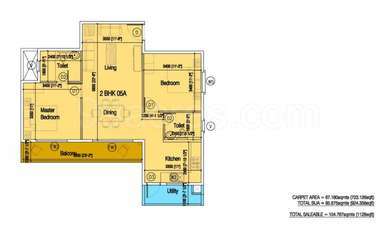 Three-room units (3BHK) in the project are available in an area of 1320.0 sqft to 2461.0 sqft. How much is the actual area of Mana Tropicale?The area of the project is 8.25 Acres. Mana Projects is a Bangalore-based real estate developer with an ISO 9001 : 2008 certification. It has won the Asia Pacific Property Award for 2014-15. This renowned builder company consists of an experienced and well-qualified team of professionals for project management, supervision and engineering. Since its inception, the group has been setting up dream spaces in order to meet the housing needs of its customers. ing the projects within the promised timeframe. Innovative ideas and attention to detail ensure success in every endeavor. The business verticals pursued by Mana Projects include property development, contracting projects and construction. Its integrity and ethical business standards have been significant in making Mana Projects a leading realty firm. I am planning to invest in Mana Tropicale. Is it a safe investment? What are the prospects? Please assist. Hi Komal! Property rates on Sarjapur Road have increased by approximately 4% in the last six months. With metro soon to be operational in this area, it is anticipated to further boost property rates of this area. 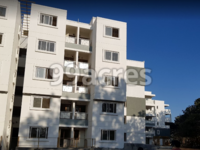 Besides, this area is in the vicinity of IT hubs like Electronic City and Whitefield and educational institutes like Bangalore technological institute and Bhoomi College thereby increasing the prospects of rental income from your property here.